← In the age of social media, will your Chief Executive sort your mail? Systems thinking for middle managers: workplace democracy in action. As middle manager, I have been thinking a lot about how I do my job. As a colleague explained to me, “We are the jam in the sandwich.” I liked the idea because it shows a central, sweet, and connective role we have in an organisation. The middle manager has a special role because they connect the senior management’s vision to the frontline work. In that role, we act as translators of the organisation’s mission or vision into action, which can sometimes lead to unintended outcomes. Aside from that translating role, there is also an unappreciated democratic role. The idea of work democratic workplace has been a key theme in Harold Jarche’s work. If you have not come across him before, I strongly recommend you check out his excellent site. Middle managers represent a democratic ethos in an organisation because they manage and are managed in turn. Just as in a democracy in which people govern and are governed in turn, the middle manager has a similar experience. Middle managers often have to have “difficult” conversations as well as set targets, and manage the performance and in turn, their performance, their targets and the difficult conversations they have with their managers. Middle managers have a unique role because often how they manage others is how they have been managed. The more they are “networked managers” the better chance they and their staff have to succeed. The idea about the middle manager as being a democratic model came to me when I was reading Brendan McCarron’s article in CIPFA’s PINpoint magazine, which drew on the, work of Ferninand Fournies. What McCarron did was take Fournies idea and apply it to it of particular interest is that it uses a systems analysis to understand how to find solutions to common performance “ problems” in the work place. Staff have only a very small impact on the performance of the organisation. At first glance, this seems strange if not impossible. In a command and control organisation this sounds seditious as if it a shirker’s charter. Yet, as middle managers we see this intuitively in our work. We performance manage staff and staff are our biggest concern with improving performance avoiding grievances and getting the work done. We constantly seek ways to keep staff motivated, engaged, and productive. What we may need to do is focus on something else, which was brought up in our session on performance. As Brendan McCarron explains, the point is that staff actually have very little influence on their own performance. Staff can indeed be “our most important asset” and work themselves ragged, but if the system they work within in is poor, their efforts will be largely wasted. No matter how hard the staff worked, they would not be able to make a big impression on the performance of their section because the system itself is to blame for the poor performance. As middle managers, we help to design and to implement the systems. When we see something “not working” in the system say, performance targets are unrealistic or not SMART, we need to readjust or remove the target. We need to look at the system around the performance to understand what contributes to that performance. At the same time, we have a responsibility to ourselves and to our staff to speak up on systems issues if we do not have control over the system. If you promise to improve performance by managing the staff better but the system will not allow your staff to succeed, then how can you succeed? We may need to see the situation carefully to make sure we understand what is happening and not trying to solve the immediate problem, poor performance or poorly performing staff, because the system may be requiring the staff to operate in a way that undermines their performance. Suggested advice to managers: Often staff are “too busy” on something of less importance. It is your responsibility to explain clearly your priorities and to verify they understand the importance of them. McCarron look at the problems Fournies identifies as a clue to a deeper system design issue that needs to be addressed. 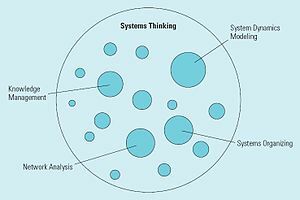 As our work is based on systems, we need to understand those systems so that we can design it or redesign it to make the system more productive. Here is an example of this type of challenge. “Problem”: Staff do not know what they are supposed to do. Suggested advice to managers: Separate out general responsibilities (e.g. liaise with colleagues) from specific tasks required of staff (e.g. “agree decisions about x with Bill and Jan”), test understanding and keep under review. We can work to improve their individual performance, but if we are not changing the system at the same time, the results will not change. We may have to look at ways to redesign the system to cut the problems. If you want to read more about this approach here and here are some other examples of this in practice. I would be interested to hear of your experiences as a middle manager. Does this reflect where you work or do you have a different experience as a middle manager? I have to declare an interest. I wrote an article for the same edition of the PINPoint Magazine. If you are interested, my article can be seen here. This entry was posted in change managment, learning organisation, management and tagged brendan mccarron, Business, Democracy, difficult conversations, Harold Jarche, Human resources, leadership, management, Middle management, Senior management, Thought. Bookmark the permalink. 1 Response to Systems thinking for middle managers: workplace democracy in action. To update you on where I am at Lawrence, I was in South East Europe last week with an international delegation doing assistance work with an EU accession state who wanted to know how other countries approached appraisal. I was trying to get across the very points that I made in the article. These are that no amount of appraisal is going to help if the system is poorly designed since and needs redesigning. This is the situation that this country is in and, I’m afraid that it is also the situation that Blighty’s civil service is in, in large part.